Also available in packs of 100. For alcohol sensitive surfaces such as vinyl couches and chairs we recommend Mundo Multi-Surface Disinfectant Foam or Mundo Multi-Surface Disinfectant Wipes. Effective Spectrum: Methicillin Resistant Staphylococcus Aureus (MRSA), H1N1 Influenza A Virus, Escherichia Coli (E-Coli), Pseudomonas Aeruginosa, Enterococcus Hirae, Mycobacterium Tuberculosis (TB), Clostridium Difficile (C-Diff) Vegetative Cell Formation (growing cells) of Gram Positive Organisms, HIV-1, Human Influenza B Virus (HIBV), Staphylococcus Aureus, Hepatitis C Virus (HCV), Aspergillus Niger, Candida Albicans. 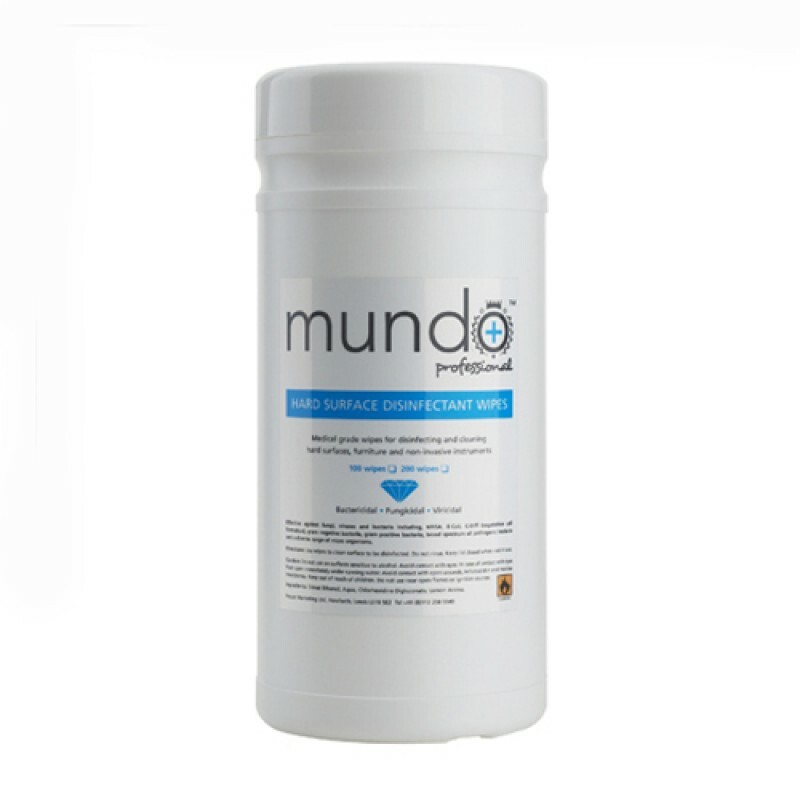 Review "Mundo Hard Surface Disinfectant Wipes"